This will be our 2nd Annual 2018 Battle of the Bowties. 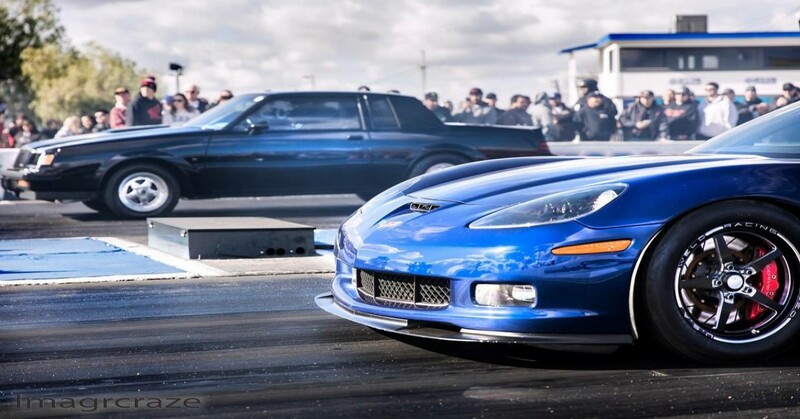 This event was created with the intention of bringing together all of the wonderful GM bodied vehicles in the US for a fun day of racing and car show. The Red List Group brings you the Battle of the Bowties which will be a race and car/truck show that will take place at Famoso Raceway on Dec 2nd, 2018. The event hosts anyone vs anyone Drag Racing where all racers battle for trophies, cash prizes for racers and a car/truck show for all the sick rides out here! The event expects many fans, racers, and showtrucks/showcars from all around the US to attend and be part of an epic day! The event draws racers and showcars/showtrucks from all over the US competing for prize money and trophies. The racing event brings you side by side racing action from just about every type of GM bodied vehicle from the 1950s-Present day cars and trucks. Showcars and trucks will be battling it out for who has the best appeal and look on their rides in the Trophy Show! Battle of the Bowties will be the proving grounds to take your place as one of the most revered racers and show vehicles in the GM world. Reputations will be tested, egos will be burned, friendships will be made, and vehicle model rivalries will begin! What: 1/4 mile Drag Racing Competition and Car/Truck Show! When: Dec 16th, 2018, Gates open at 7:00 AM. Deep in Southern California, GM rides have begun taking over the street and track scene up and down the west coast. These cars terrorized the streets and tracks throughout the West without a central proving ground to showcase their talents to the world, until now. Welcome to The Battle of the Bowties. For racing, NHRA rules and regulations as far is vehicle and personal safety equipment will be in effect in respect to certain ETs (i.e. Snell Approved helmets, Cages, Fire suits, Fire jackets, etc). We highly recommend fire suits and fire jackets, as well as other safety devices such as a HANSs device and fire extinguisher for all even if its not needed for your particular ET bracket. Show cars will be lined up on a first come first serve bases. Come early to grab your spot quick next to all the action! 12:00 PM Judging begins for Car/Truck "Trophy Show"
3:00 PM Judging ends for Car/Truck "Trophy Show"
For those that entered the Drag Racing Competition, this is the racers day to shine and their chance to go home with cash prizes, and trophies! There will be only credits but no refunds due to our NO REFUND policy. Broken vehicles, family emergencies, job issues, financial mishaps, missed flights, illness, flat tires, WEATHER, catastrophe or any other failures to participate due to unforeseen or foreseen circumstance will not result in refund. A credit may be given on case by case basis only if its requested 48hrs in advance or more. No credit will be given if not requested 48 hrs in advance from the start of the event. To receive credit, contact TheRedListGroup@gmail.com. As an attendee of this event, violations to our rules and regulations, but not limited to, may result in being kicked out and banned from the event without refunds. Thank you everyone who will be attending this event to race, support, watch, and have fun! In all of the hype and excitement, many rivalries will begin and friendships will be made. Make the most of the event, but keep your eye on the prize. Are you ready to battle Americas best Bowties?